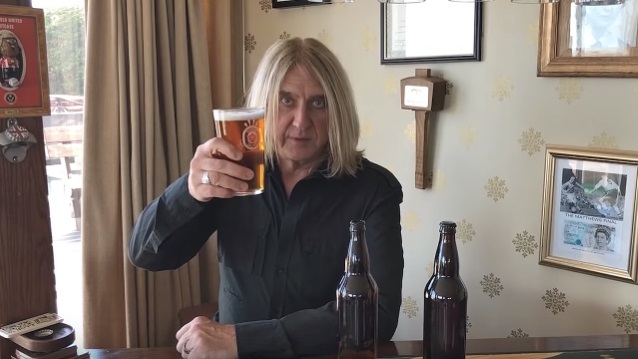 Def Leppard will launch their own Def Leppard Pale beer brand on their co-headlining tour of North America with Journey, which will begin in Hartford, CT on May 21. Def Leppard Pale will be on sale starting May 23 at the 2018 tour’s second stop at the Times Union Center in Albany, NY, and will be available in 16oz cans and on draught at most concert venues and select restaurants, bars and pubs near the venue. “There's no cut off time on this,” says Elliott. “If it takes off and people like it, it can be around. Iron Maiden has a beer named Trooper and they've done really well with theirs. We have to see if we can match that. It’s been around five years or so by now, so there's a long way to go to keep up with them and all these other people [with branded alcohol such as] Jimmy Buffett.